Cooperation between China, Russia and the United States is likely to be possible, the Russian Ambassador to China Andrey Denisov said. 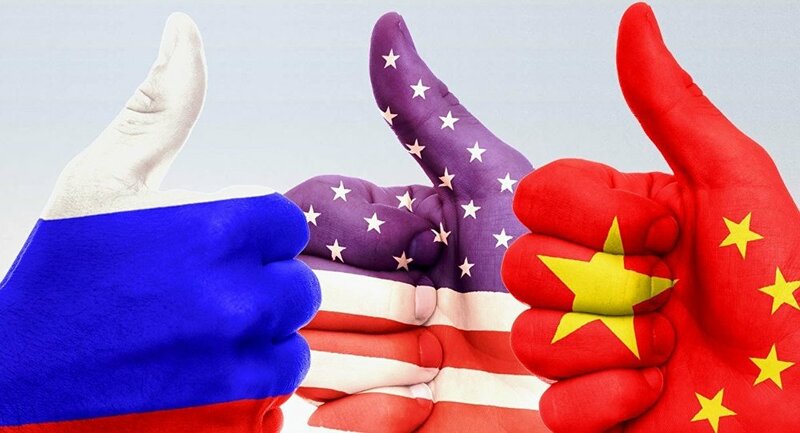 MOSCOW (Sputnik) – Cooperation between China, Russia and the United States is possible and likely to be beneficial for the world, the Russian Ambassador to China Andrey Denisov said. "It is necessary to end this global uncertainty and, of course, if the possibility of interaction between China, Russia and the United States emerges, it will benefit the entire world," Denisov told reporters ahead of Diplomats' Day, adding that he considered this trilateral cooperation possible even if the differences among the states prevailed. Denisov added that the three countries were "doomed" to undertake the collective leading role in the fight against terrorism as there was no other way to defeat the threat. The Diplomats' Day is celebrated in Russia since 2002, with the date picked to coincide with the founding of the Russian Diplomatic Service on February 10, 1549.